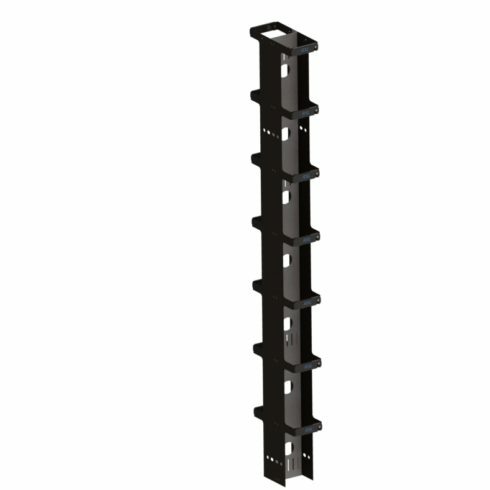 This trough style cable manager is perfect for use for any 2 and 4 post rack. 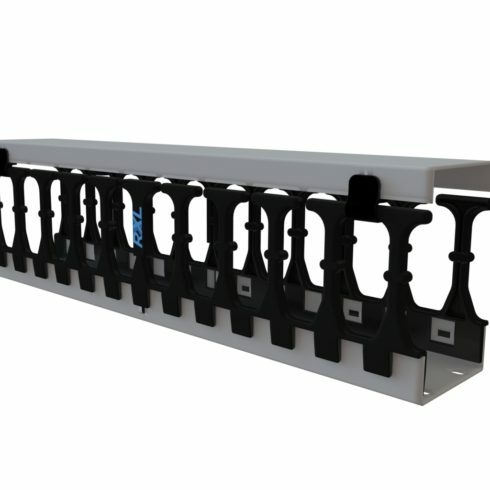 Provides convenient cable run between racks. The open ports allow cable to flow front to back. The latches are spaced every 12 inches. 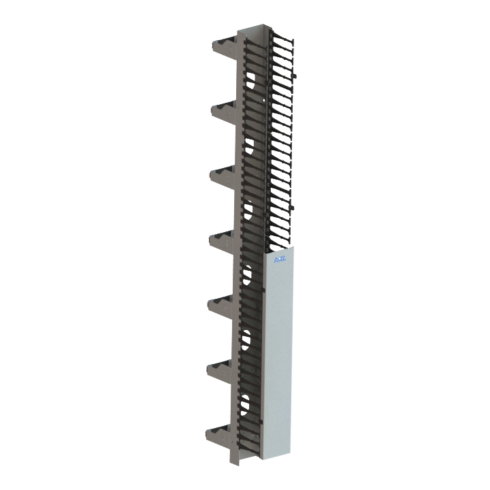 Use our Horizontal Wire Manager together with RXL’s open architecture (Two-Post or Adjustable Four-Post Rack) products to organize and store cables.